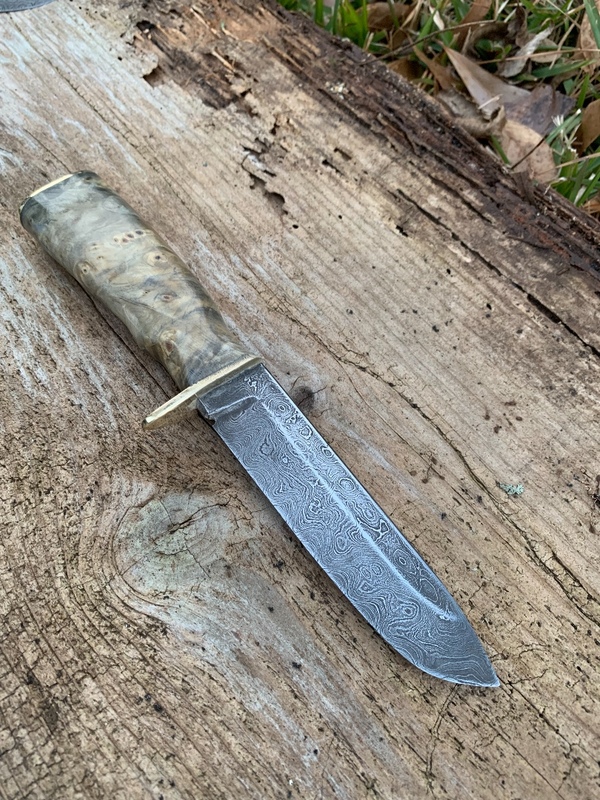 Some recent projects from the forge - The Iron Forge Fire Blackmithing Forum. This one was forged from a couple of old Nicholson files and saw plate to around 190 layers. Brass guard/pommel with buckeye burl handle. 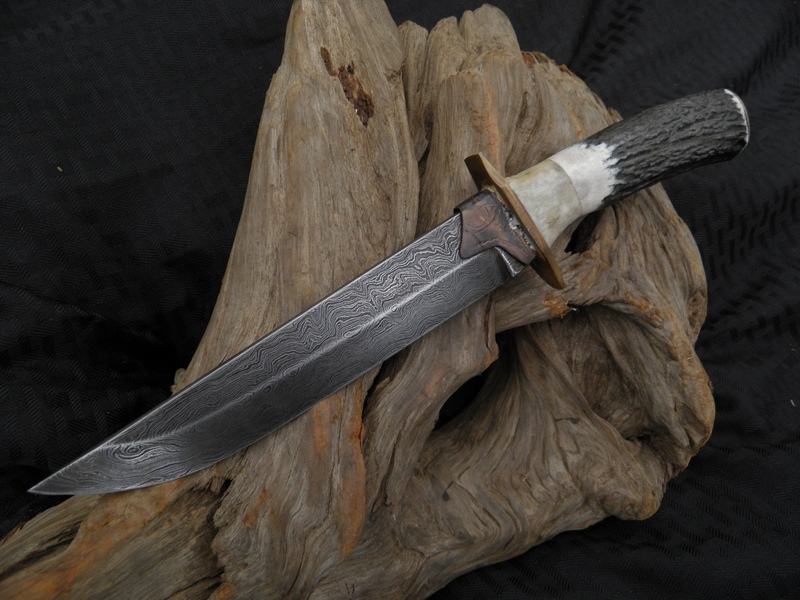 This one was forged from 8670 and 1095 with a stabilized antler base handle and brass guard. This is a cable Damascus san mai with an 80crv2 core. 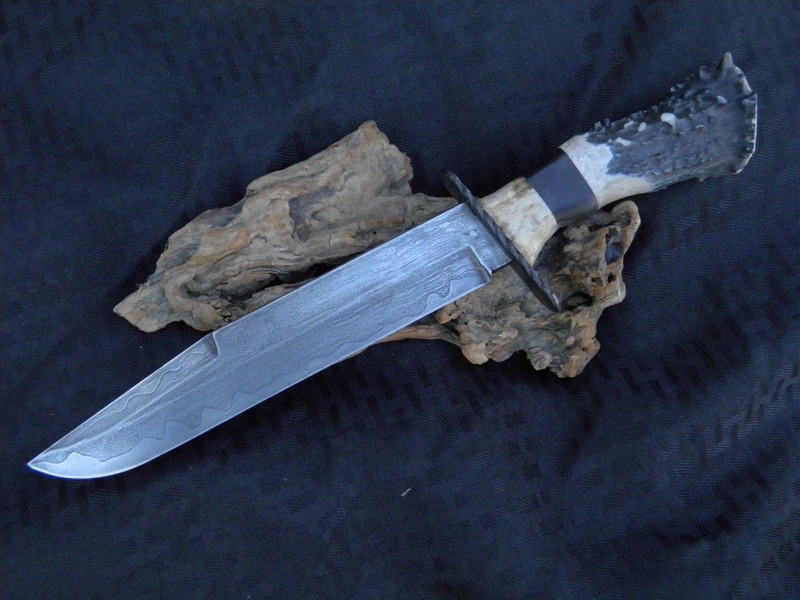 Antler base and African Blackwood handle. This was forged from L-6 and 1095 with antler handle. The guard was bronze from a bearing retainer. Nice work. Been too cold for shop work in upstate New York also. 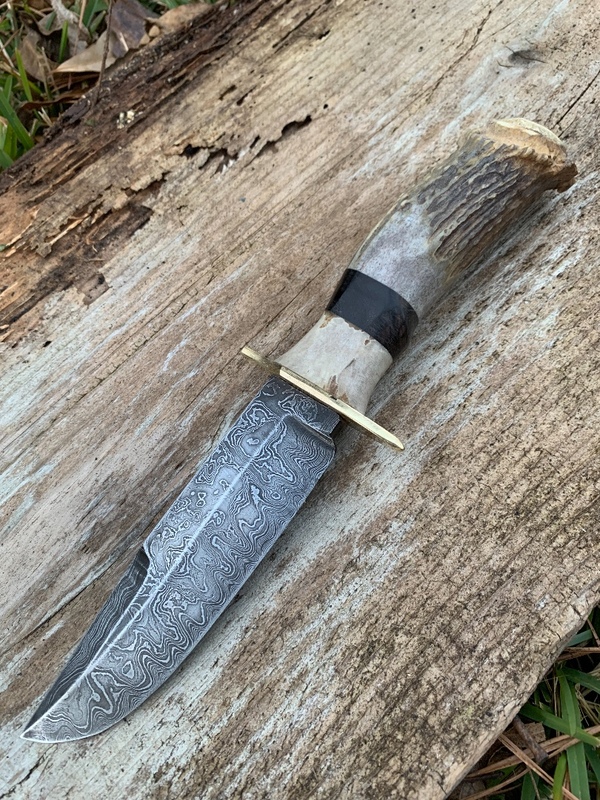 Beautiful work, J, both the blades and handles. Nice work Jim as usual.